Samir divides his time between developing & managing the practice and concentrating on adding value to the firm’s clients. Samir’s proactive approach and belief in personalised service has helped him to extensively engage with all his clients. His specialist knowledge in SME and owner-managed businesses and personal taxation advice coupled with his personal attitude, enables him to translate complex technical matters into basic English. Samir acts for clients operating across varying industry sectors, within the UK and internationally. 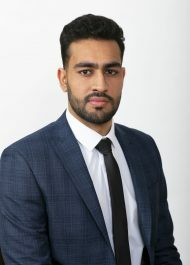 Samir’s extensive experience and interest allows him to be passionate in advising both entrepreneurs and their businesses across their personal and business tax affairs. 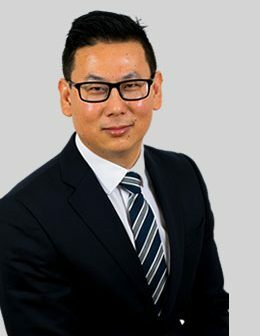 He has also developed significant experience in dealing with the management and taxation of property investments in the UK by both UK and overseas investors, providing hands-on service to these clients on both tax planning and compliance matters. 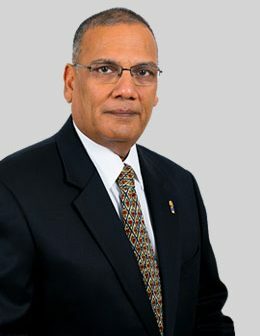 Samir left his successful career with PriceWaterhouseCoopers in December 2009 to start Capitax Financial, after developing a particular expertise and focus towards taxation of non-UK domiciled individuals, including internationally mobile employees (expatriates) and entrepreneurs with UK Residence and Non-UK Residence issues. Besides working, Samir is a family person, married with two children and his interest include cycling, racquet sports, socialising, travelling and eating out. When given an opportunity Samir likes to cook with his children. 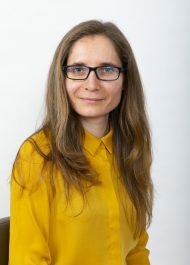 Ioana joined Capitax Financial in July 2015 as an ACA graduate trainee after completing her BSc (Hons) Economics & Accountancy Degree at City University London. 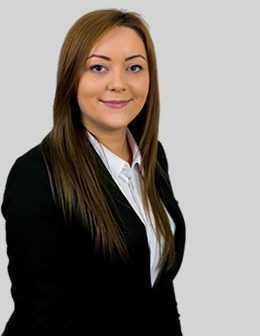 Ioana has finished her ACA (ICAEW) exams and is one step away from becoming a fully qualified ACA (ICAEW) member. 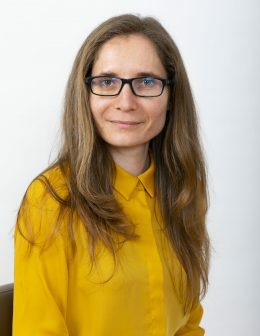 Ioana’s keenness and ‘go getter’ approach helped her build up her knowledge around tax matters and develop a stronger relationship with our clients by providing them with pro-active tax advice and valuable business planning support. Ioana has a particular interest in onshore and offshore personal tax planning for UK based individuals and non-UK domiciled persons and often gets involved in advising on complex assignments and structures for high net worth individuals, several presenting international complexities. When not at work, Ioana enjoys spending time with family and friends, but also reading classic novels. Ioana’s favorite novel is ‘Wuthering Heights’ by Emily Bronte. Ioana also loves baking and her speciality is chocolate and berries cake! 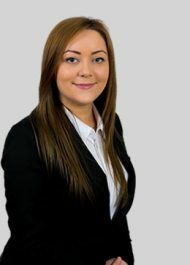 Corina joined Capitax Financial as a Trainee Tax Accountant in October 2018. She graduated with a BSc in Accounting and Management Information Systems from Valahia University, in Targoviste, Romania. Corina decided to continue her studies in the UK. She is currently studying towards her AAT Level 3 – Advanced Diploma in Accounting. Corina felt that combining work and studies is the key to a successful career, therefore, she decided to join Capitax Financial with the aim of becoming a methodical and passionate Accounts Technician. Corina’s main duties are preparation of monthly payroll for our clients, preparation of VAT Returns and financial statements, all these done under the close guidance and supervision of senior members of our team. While ensuring necessary support to our team in performing the main duties, she is building her confidence working with our clients and gaining value experience in the field. Outside the office, Corina loves reading, spending time with her friends and family, especially with her nephew and niece. She also loves baking and travelling. Jay began his professional career at Capitax Financial in March 2012. He takes his work very seriously and is a very meticulous person with strong attention to details. His eagerness to help and troubleshoot problems makes him very approachable with both clients and colleagues. Jay spends a significant part of his work day supervising and reviewing compliance work performed by other members of the team. Jay also contributes in developing more efficient compliance processes and review systems and has recently taken up the responsibility to work along with the Director in terms of the firm’s client work planning scheduling, staff allocation and client work process management. Jay has extensive experience of dealing with owner-managed businesses which includes pharmacies, dental practices, real estate agencies, property developers, retailers, leisure industry and tech start-ups. He also has a good understanding of freelance clients (contractor companies) and the advice and services they require. Jay supports Chelsea FC and whenever he gets the chance, you can see him passionately cheering Chelsea FC from West stand. If he cannot make it to the stadium, then he will be in front of the TV watching Chelsea play. He enjoys listening to Metallica, ACDC, Audioslave, Aerosmith and upbeat songs during the work out. 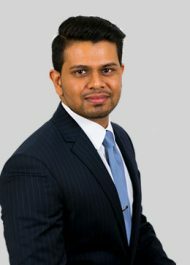 Vivek joined the firm in January 2019 as a graduate ACA trainee. He graduated with a BSc (Hons) in Mathematics and Accounting and Financial management from Loughborough University. Under the able guidance of his supervisors coupled with his penchant for numbers and problem solving, he is being trained in book-keeping, VAT Returns preparation, Accounts preparation and carrying out tax computations. Vivek’s role also includes answering client ad-hoc questions and enquiries in respect of the clients’ personal tax affairs, under the supervision of his seniors. Vivek is aiming to complete his certificate level stage of ACA by the end of the year. Having played tennis from a very young age all the way to University, as well as having participated in the Junior ITF circuit, Vivek is a fervent tennis fan and religiously follows all the Grand Slam events. In addition, he loves travelling and will jump at the opportunity whenever available. Suraj started his career at Capitax Financial in June 2016, having graduated with a Masters in Accounting & Finance from Aston Business School and a Bachelors in Mechanical Engineering from Warwick University. He is now progressing towards qualifying as a Chartered Accountant (ICAEW). His role entails the preparation of statutory accounts, corporation tax returns, individual tax returns, VAT returns and involvement in tax planning matters. 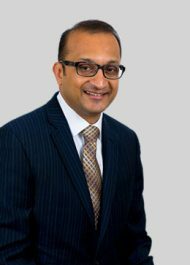 Suraj’s role also includes setting up clients with payroll and workplace pension schemes. With an accounting and engineering perspective, he enjoys numbers, problems solving and improving efficiencies. This equips him to assist with tax calculations, projections and assistance with efficient tax planning. Suraj’s enthusiasm to interact with clients to understand their business helps when introducing clients to cloud-based bookkeeping software and in implementing client-specific efficient processes. His portfolio consists mainly of owner managed businesses within a range of industries including pharmacies, consulting, IT, education and more. Suraj enjoys playing a range of sports including football, squash and kabaddi. He also enjoys spending time with friends and family. 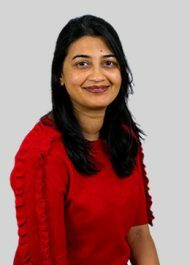 Nima joined Capitax Financial in 2010 after taking a career break of 5 years for looking after her children. Nima provides all administration support in the firm. Besides book-keeping duties (internal & external), Nima’s responsibilities also includes assisting the team in everything from preparing all the administration work for clients, ensuring new client on-boarding runs most smoothly and efficiently. Nima is always ensuring that the office is run super well (oiling the wheels of the firm!)! Nima also assists the Director with HR duties. She has extensive office administration experience, having previously worked at the British Broadcasting Corporation (BBC) and Antal International Ltd.
Nima is married with two children. She loves spending time with the family, cooking, travelling (her favourite destinations being Brazil and Sri Lanka), yoga and socialising. If she had a choice she would take up the opportunity of travelling around the world. 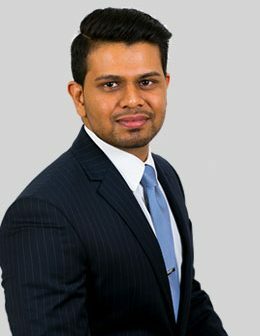 Bavan began his career at Capitax Financial Ltd in 2016 shortly after graduating from Cass Business School with a degree in Investment and Financial Risk Management achieving both a first-class honour and a lifetime membership to the Beta Gamma Society. 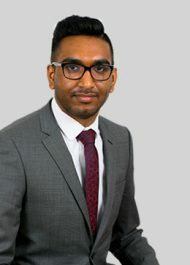 Bavan is progressing towards his ACA (ICAEW) qualification. 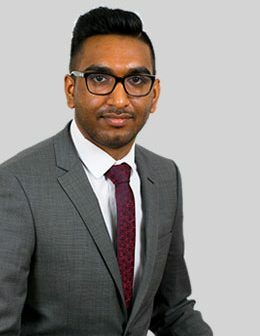 Bavan prides himself on being approachable and knowledgeable in equal measure ensuring that an all-round service is provided to clients regardless of their query. In addition to accounts and VAT preparation, Bavan`s speciality is within payroll where he ensures timely Auto Enrollment and PAYE compliance thus allowing clients to focus on the more important strategic decisions. He also deals with transitioning clients to cloud based book-keeping software, ensuring that clients are able to wear the much required ‘financial hats’ in their organisations. Outside of Capitax Financial, Bavan is a massive Arsenal fan. He enjoys going the gym and playing a variety of sports. Furthermore, Bavan thoroughly enjoys the movies. If there is one place to see Bavan, it will be in front on the big screen every Friday night. Madhu is a Fellow of the Association of Certified Chartered Accountants (ACCA). He has gained a wide and extensive range of general accounting and taxation from running his previous accounting practice M R Shah and Co Ltd (1982 to 2013). 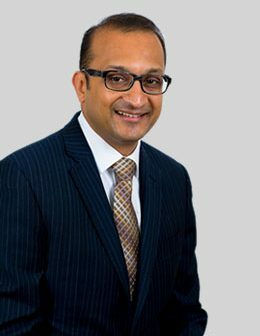 Madhu has advised a vast number of owner managed businesses and private clients. 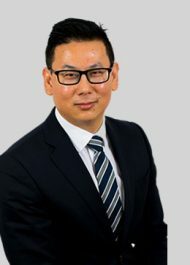 With his wealth of experience, he provides clients with professional solutions and advice that highlights opportunities and supports their development and future growth. 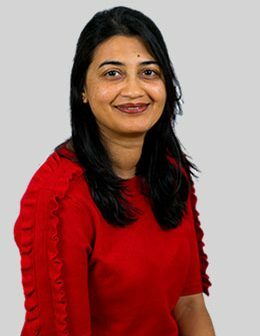 In 2014 Capitax Financial acquired Madhu’s accountancy practice, and since then Madhu has been on board with Capitax Financial as a Consultant. He advises clients on how to minimise their tax exposure, structure their affairs and take care of all their compliance requirements. Madhu is also a Fellow of Society of Will Writers. Madhu is also a keen golfer, member of Aldenham Golf and Country club and plays with a group of golfers who call themselves Squirrels! Madhu loves walking and escapes to Spain few times a year to get a good dose of sunshine. Also a charter member of the Greenford Willow Tree Lions Club and member of the Freemasons Fraternity.